Meet Bob, every homeowner’s new best friend – except those who cite cleaning floors as their passion. This intelligent floor cleaner can sweep, vacuum and mop all types of flooring without any supervision or aid required on your part. Use Bob’s programmable memory timer to set the ideal date and time for the next floor cleaning and he’ll show up to work on schedule. After Bob’s done cleaning, he’ll return to his charge-up station to rest until the next job. Your only task is to empty the debris bin after multiple cleanings. Pet owners can hire Bob’s cousin, the pet hair vacuum cleaner. This sucker removes fur embedded in carpets or rolling like tumbleweeds across hardwood floors. 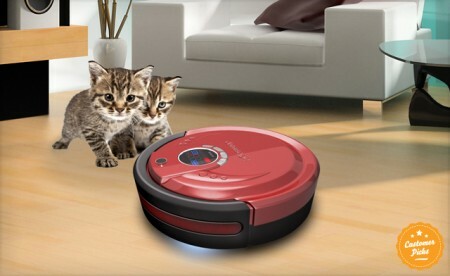 While traditional vacuum cleaners send cats and dogs scampering in fear, Bob’s quiet demeanour creates a comfortable setting – so comfortable, in fact, that pets may like to chase him as he dutifully cleans your floors.